Following a string of cool, casual restaurant and bar openings, once-insalubrious Windsor is starting to give Collingwood a run for its money – even the beards and craft beers migrated south for the summer. 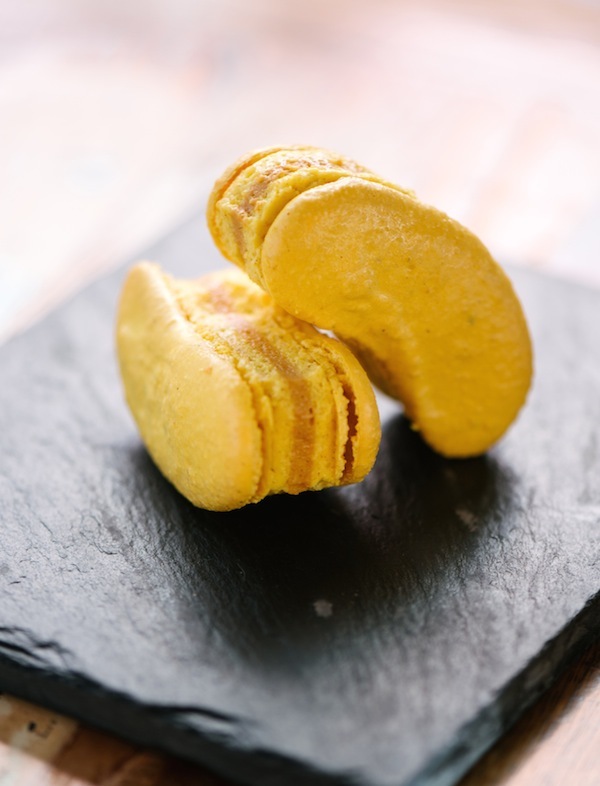 The latest eatery to spice up the southside dining scene is Tokyo Tina, from the switched-on team behind Hanoi Hannah and Saigon Sally. 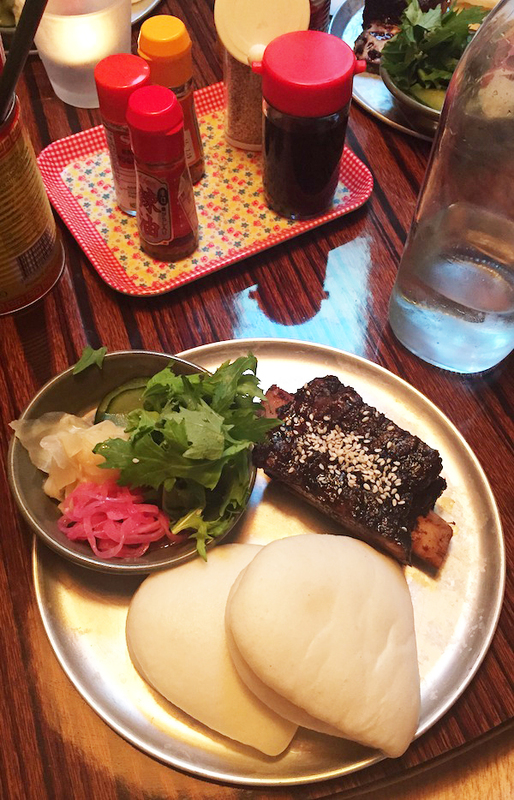 Like her established older siblings, Tokyo Tina delivers an inventive approach to Asian street food, this time riffing off the flavours of Japan. I was invited to try Adrian Li’s inventive menu recently, which spans clever snacks, knockout cocktails and steamy pots of shabu-shabu (best reserved for outings with your cleanest pals). The Tokyo Tina crew was inspired by a trip to Japan, when they scoped out the country’s izakayas (bars toting booze-friendly food) and ramen joints. Here, Astro Boy figurines and anime-style murals line the walls, and co-owner Simon Blacher tells us that the restaurant’s old-school font is based upon a sign leading into Tokyo’s hipster suburb, Shimokitazawa. 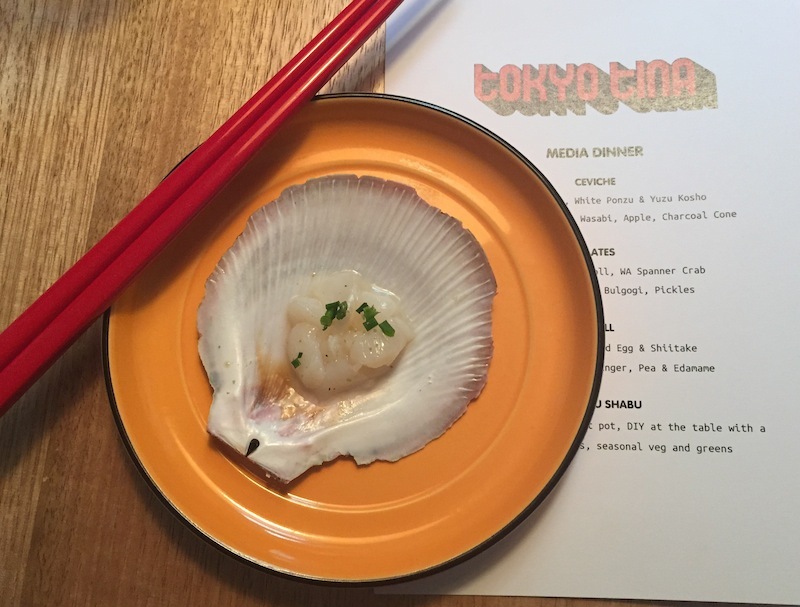 We kicked things off with a delicate blend of scallop sashimi, tangy white ponzu (citrus-soy) and yuzu kosho (a paste of yuzu zest and chilli). Next up was the standout dish of the night: an ever-so-slightly sweet charcoal waffle cone piled with kingfish ceviche, apple and wasabi. Take it from me, you need these in your life. More creative finger food followed, including open California rolls of crunchy nori seaweed, sticky sushi rice, blue swimmer crab and black sesame, and the outstanding bulgogi beef rib, shredded and served with pillowy bau, mizuna leaves and pickled cucumber, ginger and onion. 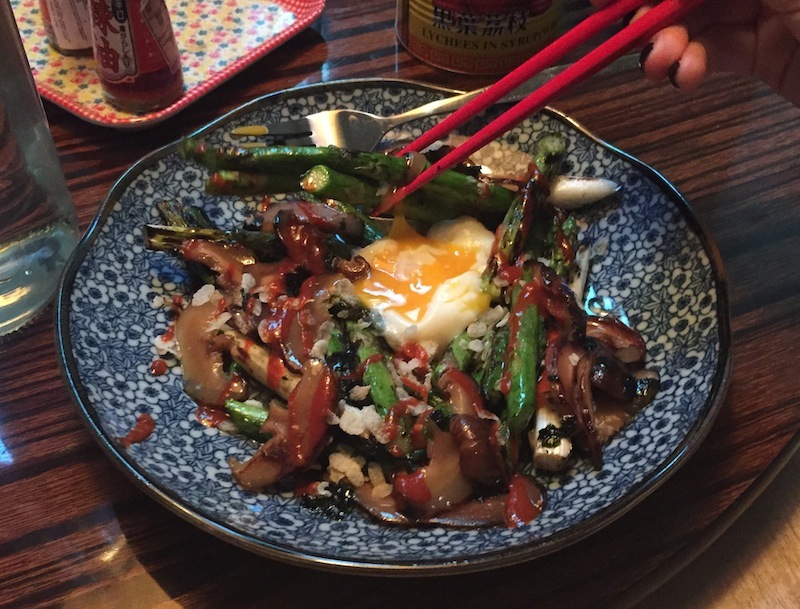 We took a little side-step into Korea next with a plate of chargrilled asparagus and shiitake mushrooms, rice flakes, fiery gochujang chilli paste, and a slippery, just-set onsen egg (hello #yolkporn). 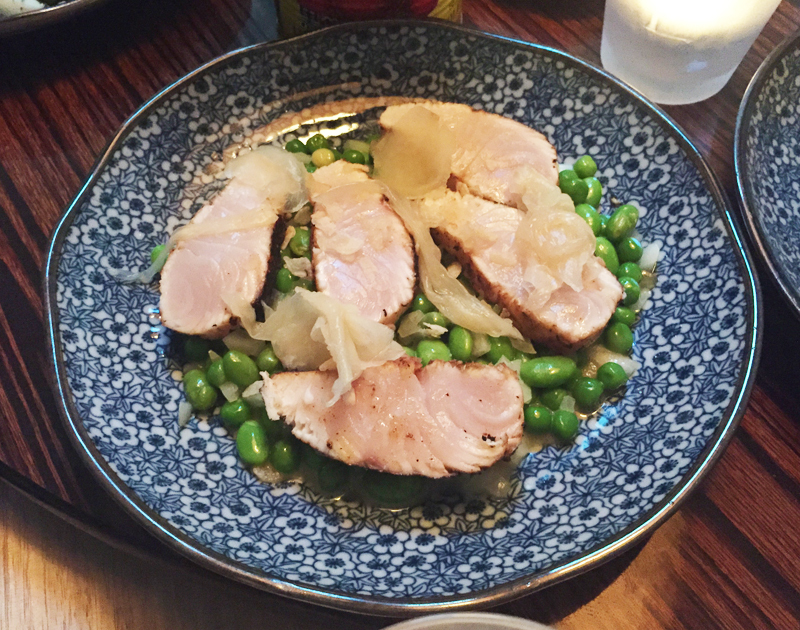 And then there was a French-Japanese inflection to a main of miso-glazed cobia (a firm white fish) on a bed of peas and edamame that had been given the petit pois a la Francaise treatment (that’s posh talk for a buttery, onion-enriched braise). To finish the savoury courses, a gas hotplate was brought out to our table for the DIY shabu-shabu. We swiped paper-thin beef and pork slices, wedges of cabbage, shiitakes, enokis, tofu and lotus root through the bubbling miso broth, before spooning it over soba noodles and another of those on-trend onsen eggs. All three mains were satisfying, without being ground-breaking. My money’s on the excellent starters. As a final sweet send-off, we were treated to these button-cute banana sandwiches, teaming sugary macarons with chocolate and banana ice-cream.